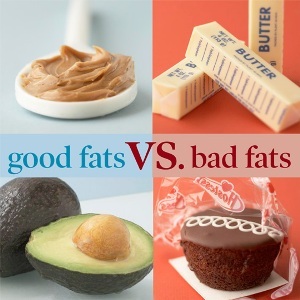 1) Monounsaturated Fat – this type of fat helps lower LDL Cholesterol (“bad” cholesterol) in the blood. It can be found in nuts, seeds, olive oil and canola oil. 2) Polyunsaturated Fat – this type of fat lowers total cholesterol and triglycerides. It can be found in safflower, sunflower, corn and soybean oil. Flaxseeds are also a source of polyunsaturated fat (use flaxseeds or purchase Flaxseed Oil in the refrigerated section of your grocery store. Use in place of oil in dressings or add to a glass of juice). 3) Omega 3 fats – this is a type of polyunsaturated fat, which lowers cholesterol and triglycerides, lowers blood pressure and reduces blood clotting. It is found in high concentrations in oily fish (such as salmon, herring and mackerel) or fish oil (tablets or oil). It can also be found in flaxseed, canola, and soybean oil. 1) Saturated Fat – increases cholesterol levels and increases the risk of heart disease. It is found in animal products, palm kernel oil and coconut oil. 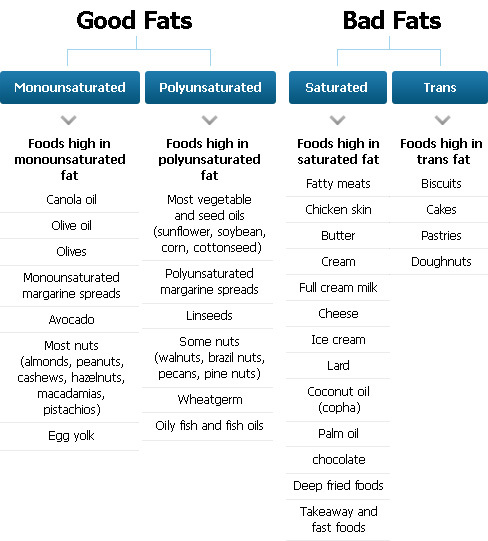 2) Trans fats – trans fats result from taking oil and processing it (called hydrogenation) to form a solid fat. This type of fat acts like saturated fat! It is found on tons of product labels – specifically margarine – look at the label – some margarines have trace amounts), shortening, baked goods and processed foods. Watch out for this one! You want to avoid anything that had trans fat. Believe it or not, these are found in lots of baby/kids foods, so watch out. Luckily today savvy marketers have caught on and say trans fat free on their boxes – so its clear which foods are good choices and which are not. I would like to say that saturated fats are not the cause of heart disease, stroke, cancer, or any other illnesses, unless, they have been changed by: hydrogenation(ex: hydrogenated coconut oil, partially hydrogenated lard, etc.). If you don’t believe me then ask these two questions: what do other people(like the French or Pacific Islanders) consume in their diet, and what did we eat before the industrial revolution. Also, I personally don’t believe corn, canola, cottonseed, and some soybean oils aren’t that healthy, one reason being the way the oil(s) is/are extracted. Thank you for your valuable feedback, Anonymous. Research is an ongoing activity and all inputs are welcome. And yes, during my childhood we did not worry too much about which oil and how it was cooked. We used the standard gingelly/sesame oil – usually considered too heavy, groundnut oil – too full of cholesterol and coconut oil…well. 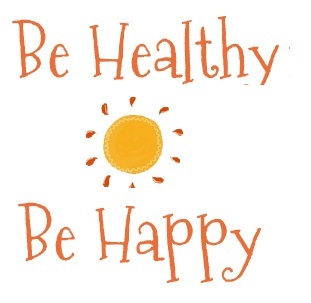 We’re all healthy. I think it is a combination of various factors, in addition to diet – namely exercise, detoxing the right way and leading active lives. Thanks for visiting. I appreciate your comment.